Managing an online presence is never static. Over the years, we’ve done some major redesigns, including separating our private community site from our public Internet presence. We had been using an aggregator for the public site, but found it lacked the dynamism the project required, so last year, we began building this new public website using the WordPress platform. Goodbye Flavors.me; it was nice to know ya! 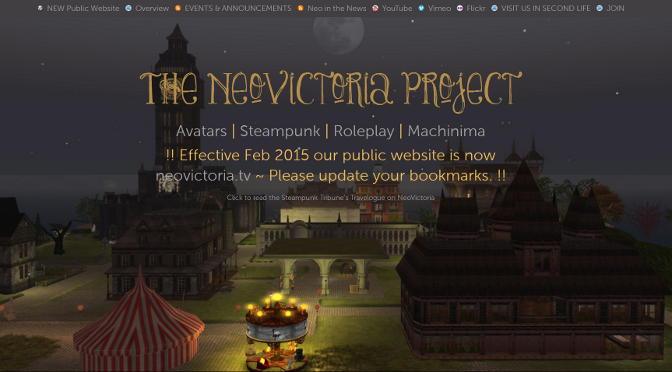 As of this writing, our public website URL of www.neovictoria.net is pointing to this WordPress site [https://neovictoria.tv/]. The Flavors site [http://neovictoria.flavors.me/] will sunset in March.